what lansia eats, where lansia adventures, how lansia does. ← 3:00 PM: Time for Some Boiling Crab! 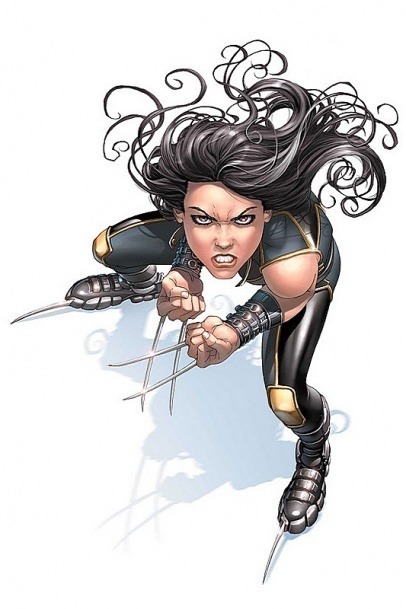 I asked my friend Heather to pick something from the Marvel Universe — someone female, black or dark hair, something easy. Oh! And someone that did not have a super tight outfit. Nope, I am not that confident… nowhere near that confident to pull off that look. Plus, I am a creature of comfort… If I’m going to a party to drink and eat, I need extra room to grow. 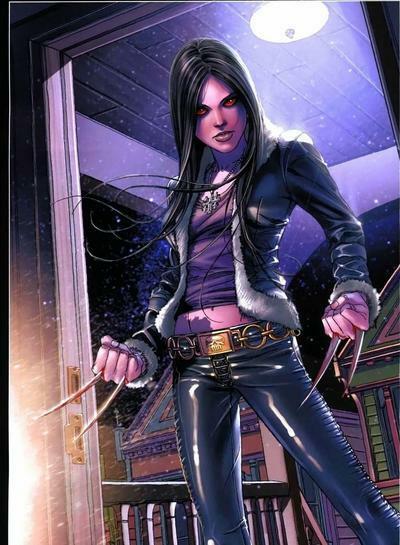 Five minutes after linking Heather with the Marvel Women, she found X-23. Black hair. Younger gal… seemingly not too tall, normal clothes **translation: not too tight**. Done. I could pull off the pants, owned a black tank top and already had the black hair. But, how could I pull of the claws? 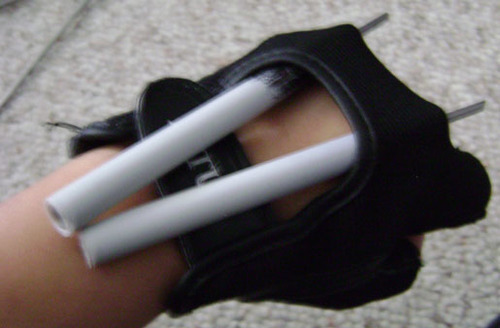 There were a couple online tutorials for creating Wolverine claws: Wolverine Costume with Retractable Claws | How to make retractable Wolverine claws. Both of them seemed like more work that I was able to gather. So, one day, after work, I stopped at Home Depot on the way back home. I spoke with maybe five people before speaking with Dan, a (I assume) professor who loved toying with mechanics and figuring stuff out. As Dan and I walked between various aisles, more than several times, we finally figured something out. 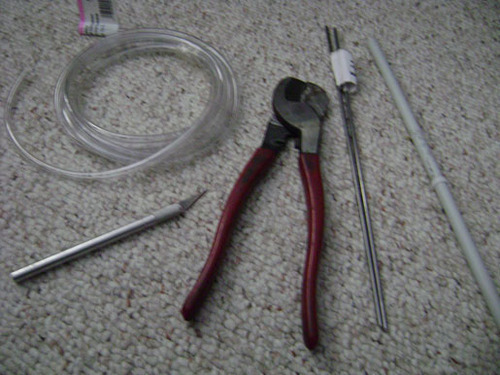 It was fairly inexpensive, easy to construct and would still be retractable — PVC piping fitted with a smaller pipe to stop a wooden dowel claw, which shoots out with a flick of the arm. The flick… was important. 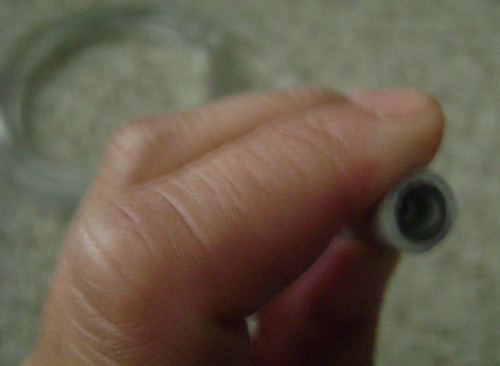 Dan pointed me at a black barrel pipe, similar to this funny pipe. Then we went around and played with other piping that would fit inside. However, when he set me loose, I went on a search for something smaller. Two hours later, I had the materials, new friends at the Home Depot and went on my way home… While watching TV that night, I had four claws. 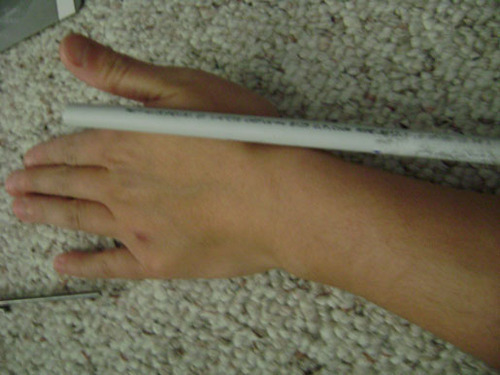 Then, after shopping throughout the week, I finally figured out how to fit them on my hands. Yes!!!! This was a totally more than I thought I would spend… But I suppose the cuffs could be reused, and so could the gloves and wraps. 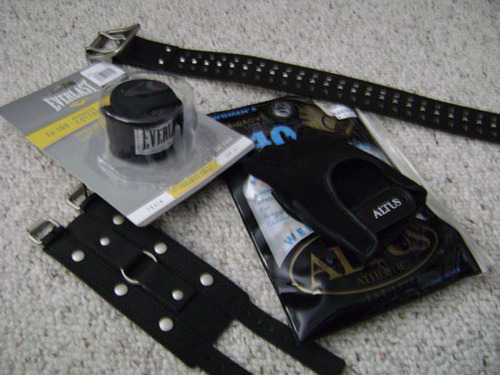 You could also buy cheaper studded cuffs at Hot Topic or costume shops. 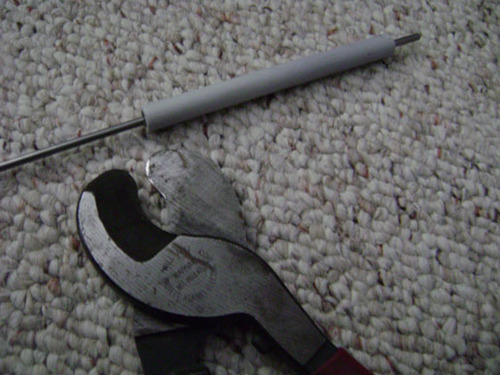 Or… you could just forego the cuffs — the most expensive part!! Okay, let’s get to it. 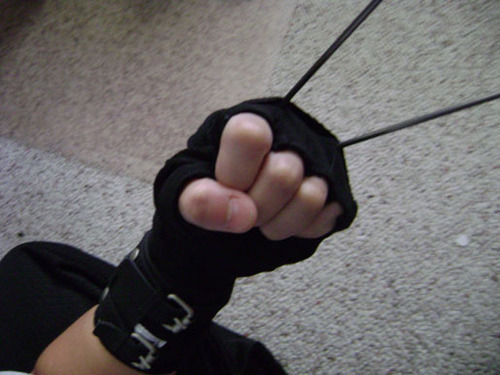 Here’s how you construct the claws. 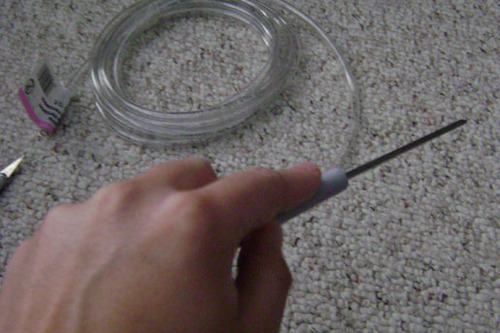 First: cut the riser pipe to the about the length of your palm and then some. Continue to cut three more at the same size. 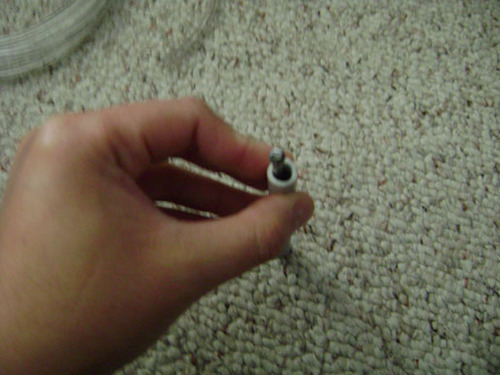 Second: Fit the tubing into one side of the pipe, just slightly to essentially “plug” the claw / keep it from sliding out. 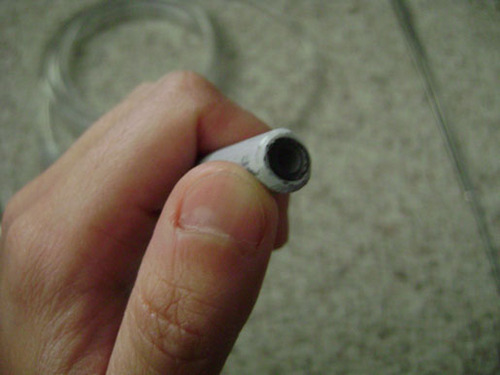 You only need to insert the tubing about half 1/4″ into the pipe. 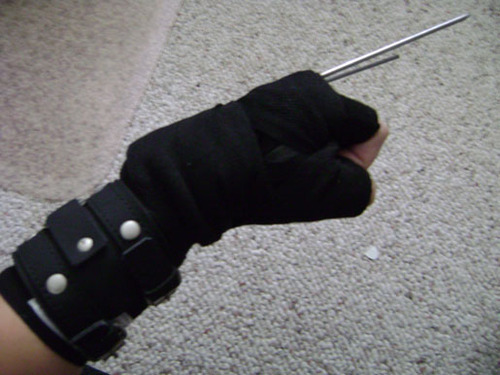 Third: Cut the metal rod to fit the pipe plus about an inch extra (so that it pokes out of the glove). Cut three more pieces of the same size. 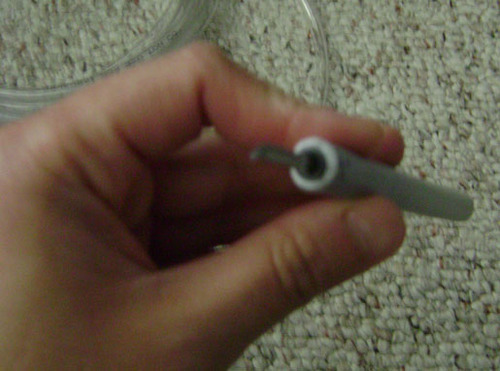 Fourth: Cut a thin strip of tape and tape around one end of the metal rod. 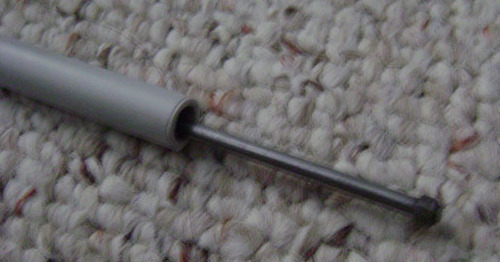 This will stop the metal rod from slipping out of the piping. 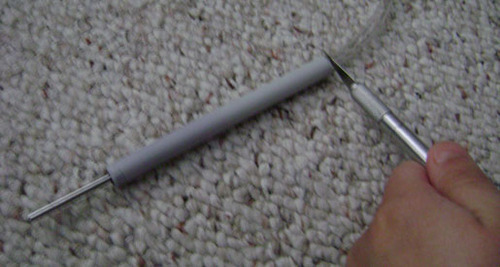 Fifth: Insert the metal tube, with the taped end towards the back. 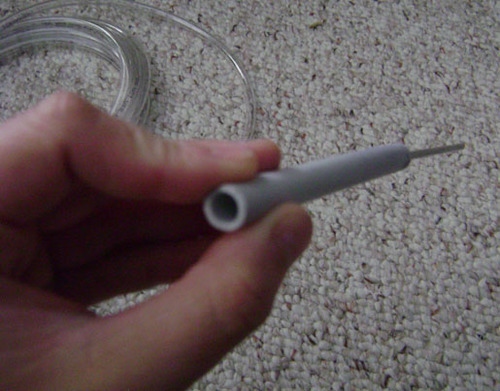 Take the clear tubing and insert it into the opposite end of the pipe (the end that does not already have the tubing) to stop the metal rod from coming out. 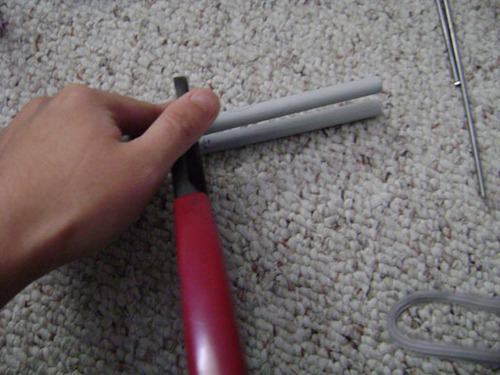 Continue with the other three pipes to make four claws. 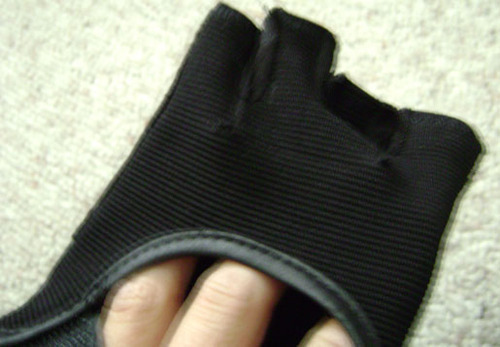 Put the glove on and poke two holes where the claw would come out. 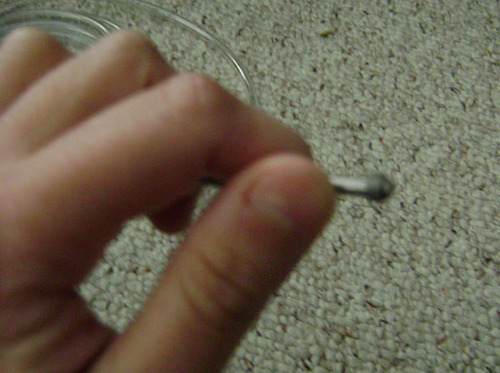 Insert the claw into the hole as shown in the photo. 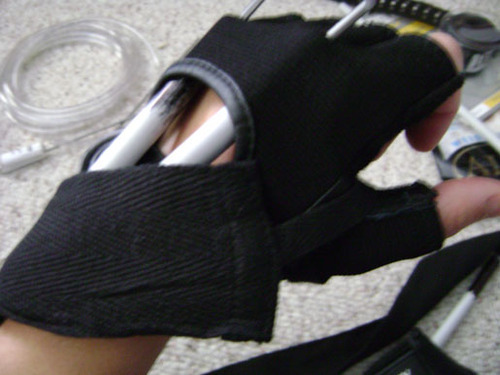 Take the handwrap and wrap it around your hand to hide the pipes. 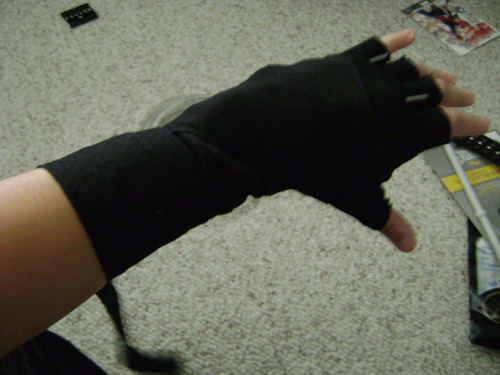 Wrap down and around the forearm until the wrap runs out — try to wrap it so that the “Everlast” logo ends up on the inside. 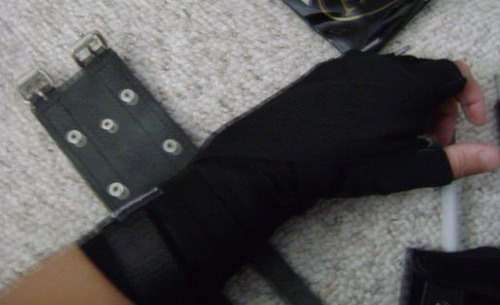 Wrap the leather cuff around your arm after you get the handwrap secured. 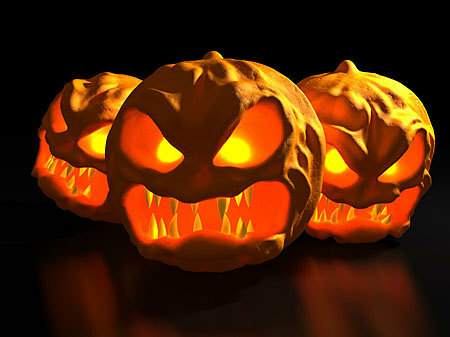 This entry was posted in Holiday Spirited, How to (instructionals) and tagged comics, halloween, holidays, party, tutorial. Bookmark the permalink. Cool! Seem like a lot of work went into your costume! I’ll have to see you flick it (in person). Wow! 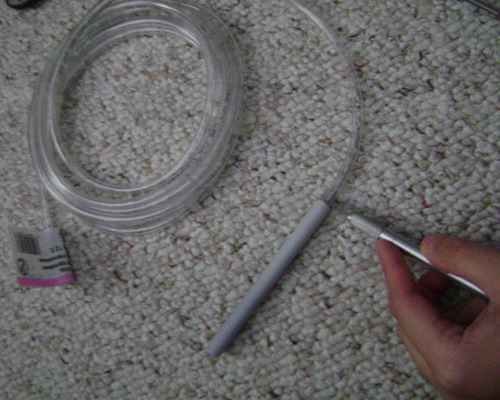 This is exactly what I need for my costume!!! How did the claWs work out? Can you make a video of the claws in action? 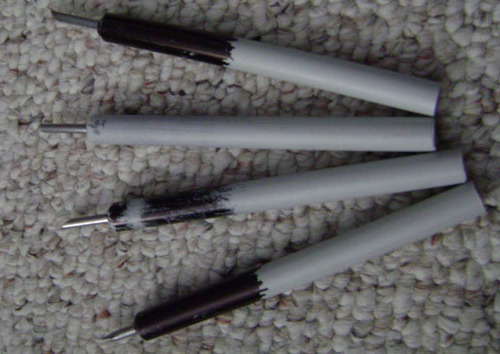 these are great and much more simpler than all the other tutorials out there! thank you. 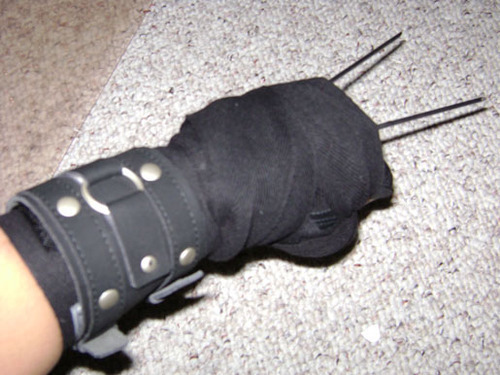 but a little question, how would you make the claws go back in besides pushing them, and making them stay there? hi fer, thanks for the comment! sometimes the claws get caught in the piping where it’s a bit narrower so they naturally are stuck there until you really whip them out. and i’ve just always pushed them back in. unfortunately, that’s the best i’ve engineered! 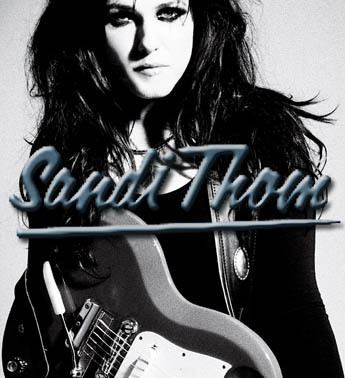 let me know if you figure a better way – i’d love to improve on the design. cheers. Receive email notifications for this blog. Enter your email address to sign up! A Korean Winter Vacation, Day 5 – Galbi, Fortresses and Castles. A Korean Winter Vacation, Day 4 – Culture Hopping. Sweet Charity! What Did You Say? Walk Through Walls! Do It.